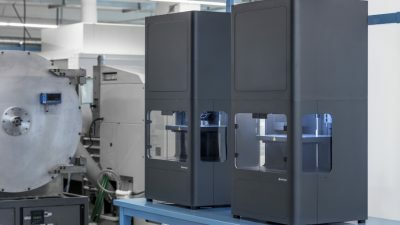 Markforged 3D Printers allow you to print extremely stable and high-quality, three-dimensional parts – in the shortest possible time and at a fraction of the cost and with maximum stability! Get to know the new possibilities and benefits of professional 3D Printers. We are your 3D print Partner for Europe and the UK. the desk – in every office. Beautiful, fast prints for form, function and brainstorming. High quality 3D printed metal prototypes provide instant form and function. From custom soft jaws for work-holding to alignment jigs for welding, the applications for Markforged 3D Printers are endless. With this in mind you can significantly improve many of the behind-the-scenes tasks associated with manufacturing and fabrication. Furthermore you will experience shorter lead times, increased machine bandwidth and substantially reduce your manufacturing costs. 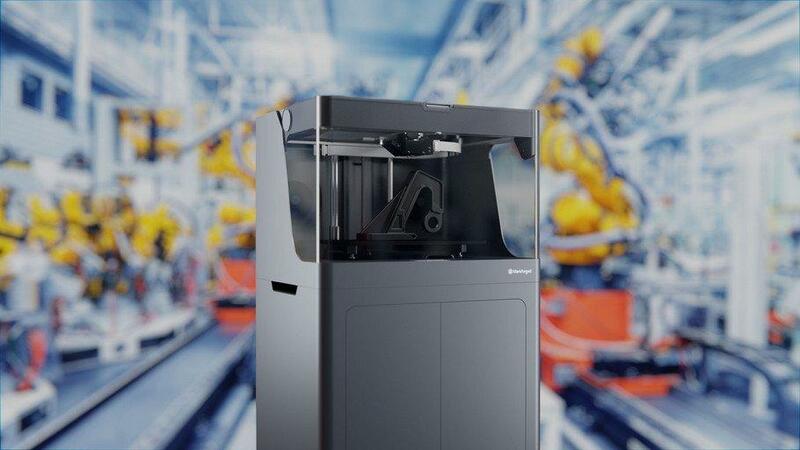 Complementing your manufacturing facility with a Markforged printer is comparatively easy and very cost-effective. 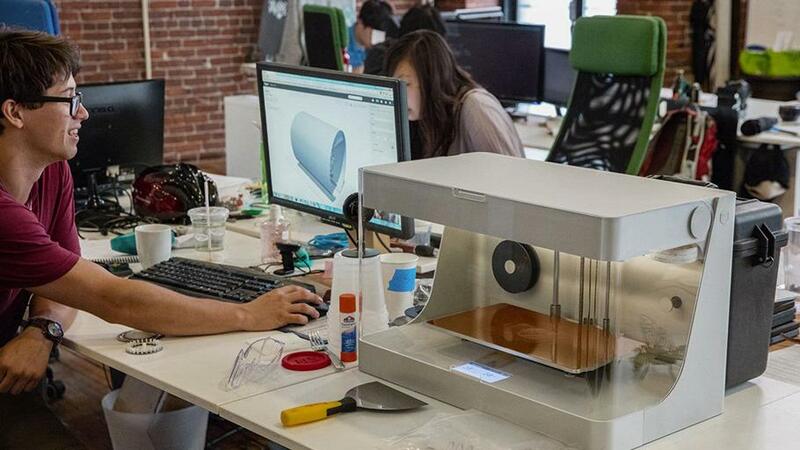 3D printing is now a viable alternative for manufacturing end use parts. It proves to be a very cost-effective solution when compared to traditional low-volume production techniques. For example you can make end-use parts that are very strong, with excellent surface finish and high accuracy on demand. As a result this will substantially reduce your companies manufacturing costs and hence improve your bottom line. It’s now possible, using the prototype you created for form and fit, to immediately test for function. Because The unique range of Markforged materials aren’t just strong, they look good too. Therefore if your prototype works you can leave it in place and get on with something else. Subsequently you’ll dramatically shorten development cycles, save money on materials and carry a zero spares inventory. If you are interested in Markforged 3D Printers, we are happy to help with justification. Since 2014 Markforged is helping us to change the way we make our products. They are found at the intersection of traditional manufacturing and cutting-edge material science. For this reason Markforged believe in a future where going from design to finished parts is easy, simple, safe and affordable. That’s why they created the world’s finest composite 3D printer, allowing engineers to utilise the strength v weight ratio of modern materials. The composite range has moved on from that famous first machine and now comprises of other larger composite machines, offering new opportunites to make bigger, more accurate parts. 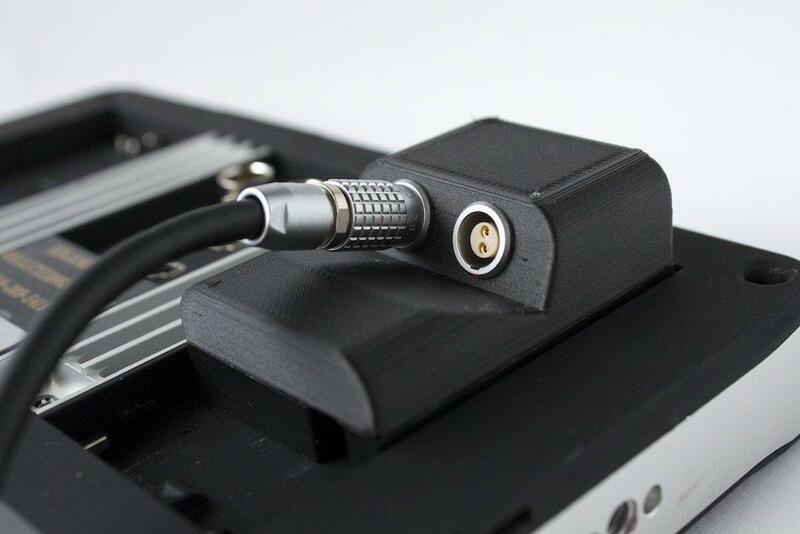 The Markforged carbon fiber 3d printers are a must have for every engineer. Markforged have been breaking new ground again, just recently in fact, and have released the Metal X a filament based 3D metal printer. Safe, reliable technology, at a really competitive price means the Metal X is a real game changer. Access to this technology will mean that metal printing is a reality for many more businesses. As a result you can focus on building products that change the world. 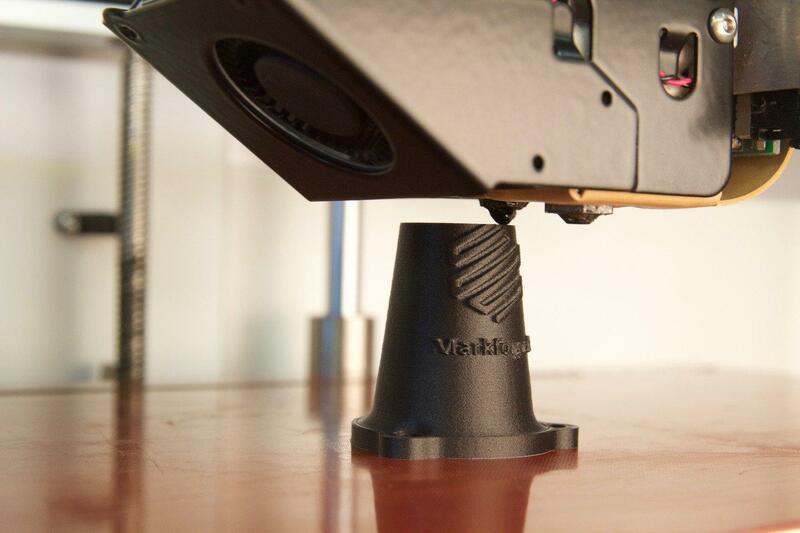 With the Markforged desktop range you can 3D print stronger components from your office. 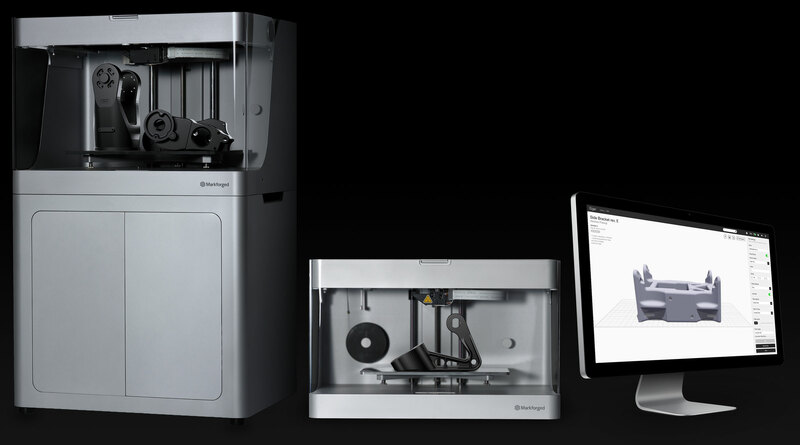 The Desktop Series includes the Markforged Onyx One, Onyx Pro and the Mark Two 3D Printer! The Mark Two is a Carbon fiber 3D Printer which offers you industrial grade hardware, cloud managed software and engineering grade materials combine to allow you to print light, strong replacements for machined aluminum. Now your parts can be ready the same-day, for a fraction of the price. Often many peoples first venture in to 3D printing, the desktop range is specifically designed for engineers. They find new ways to design and make their components very quickly due to the short learning curve. However, it doesn’t stop there, the works engineers and maintenance teams find many different uses for it too. What could you do with a 3D printer from Markforged? 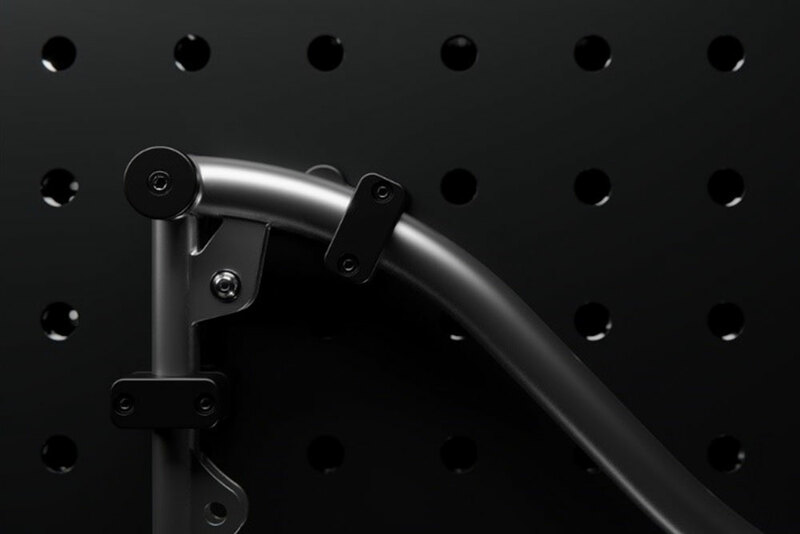 The Markforged industrial series of machines make incredibly strong, high precision components. The large working space on all X-series printers is ideal for robotics, automotive parts, prototype models and prosthetics. With a layer thickness down to 0.05 mm, your prints receive a perfect surface finish and the look and feel of an injection moulded component. Built with quality, accuracy and reliability in mind the X series machines use the highest quality components. They are manufactured to close tolerances and enjoy the added benefit of laser scanning for part accuracy. Many companies that have made their initial investment in desktop machines choose to further invest in the industrial series. 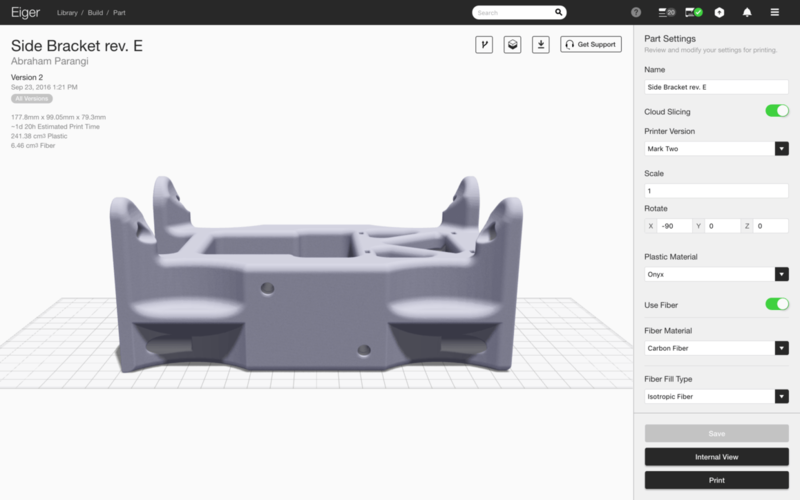 The Markforged Eiger software is especially designed for 3D printing with high-end & continuous fibre materials. It is powerful and very easy to use. Your components can be quickly optimized with the right settings and fibre orientations. This ensures you get great part performance, whatever the application. Mark3D believe we can help you change the world too. Likewise, we are a team of experienced engineers with a background in the design and manufacture space. Our focus is on the supply and support for the full range of Markforged machines. We believe that carbon fiber 3D Printer should be available to every engineer in every business, so they can change the world with us. If you would like to buy Markforged 3D Printers or Markforged 3D printing materials in the UK then you can contact us here. You can also browse to the Mark3D shop and order items from there. We are an official Markforged Partner and Reseller for the Uk and Europe.